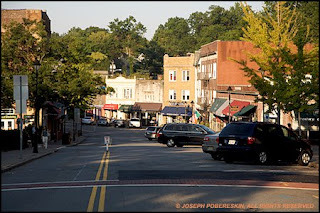 MAPLEWOOD, NJ - Regressing a bit, I find myself back in Maplewood... seriously, just here on vacation with my children... and though I've only been gone a mere three and a half months, quite a lot has changed. On the surface, of course, everything seems to be the same. 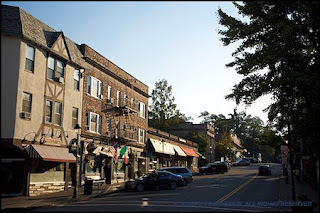 Maplewood Avenue, a three block strip that's the heart of this picturesque little burg, looks largely the same. A quick walk from my friends' home on Jefferson Avenue into the village gives the feeling that nothing much is very different. There was little traffic, as one would expect at six thirty in the morning, save for the few cars delivering the early commuters to the train station in the center of town and the delivery trucks from Freeman's Fish Market (they're always busy, early). There were as yet unretrieved newspapers in the driveways, the NY Times and the Newark Star-Ledger are the staples here, it was quiet except as noted previously, and it all looked quite normal to the untrained eye, but on closer inspection there are clear signs that there have been some major changes recently. 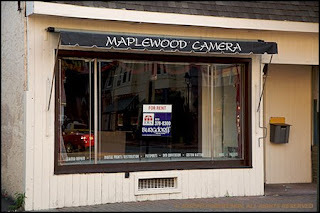 The most depressing thing, the change that really touches me deeply, is the closure of Maplewood Camera. I guess the combination of the digital age, the fact that Costco and Walgreens take print orders online not to mention the declining economy, led Rob to close the store. I was going to drop in and say hello but I found instead that the showcases are empty, the minlab is gone and the large prints in the window have been replaced with a For Rent sign. I didn't do much business there as I don't shoot film any more (I used to get all my C-41 done there) and though Rob kept telling me that he could get me a 1Ds III, his timeline wasn't too attractive (nor was his price competitive)... but we're pals and he really had a passion for his small town camera and photofinishing store and so the closure saddens me. 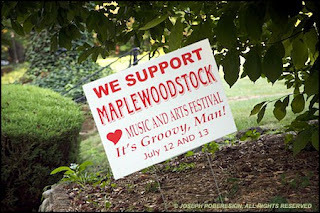 That, and the facts that I missed Maplewoodstock, the local three-day music festival, by a few weeks and when I bought a NY Times this morning the price had jumped 25¢ to $1.50. Five-star galsolina (shout-out to Rod Stewart) costs less here than in Chicagoland, so I guess there is a silver lining in every cloud.